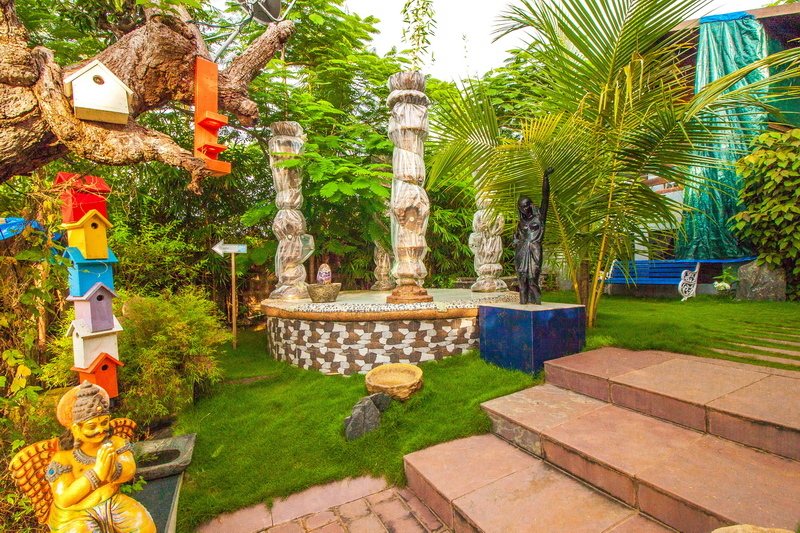 Villa Rock Forest is truly a precious discovery for holidaymakers from different parts of India and world. 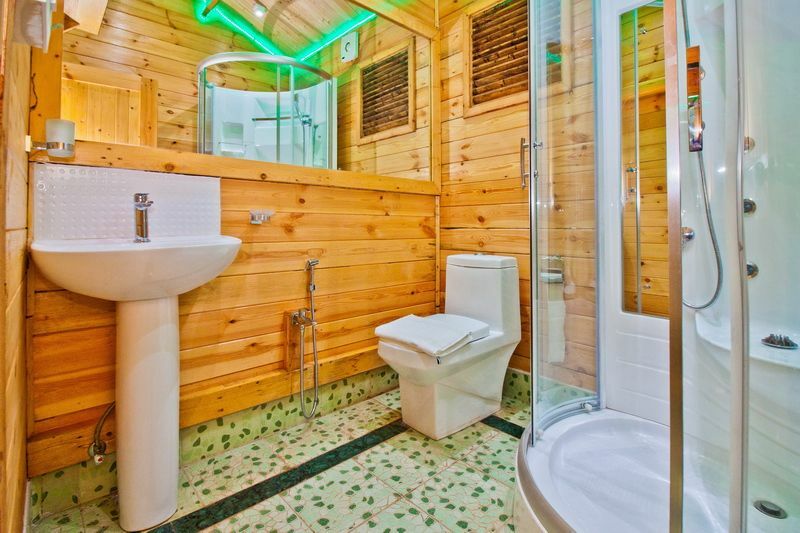 The best description of this holiday rental would be ” a boutique hotel with private infinity pool and 5 wooden cottages each having private open air Jacuzzi”. 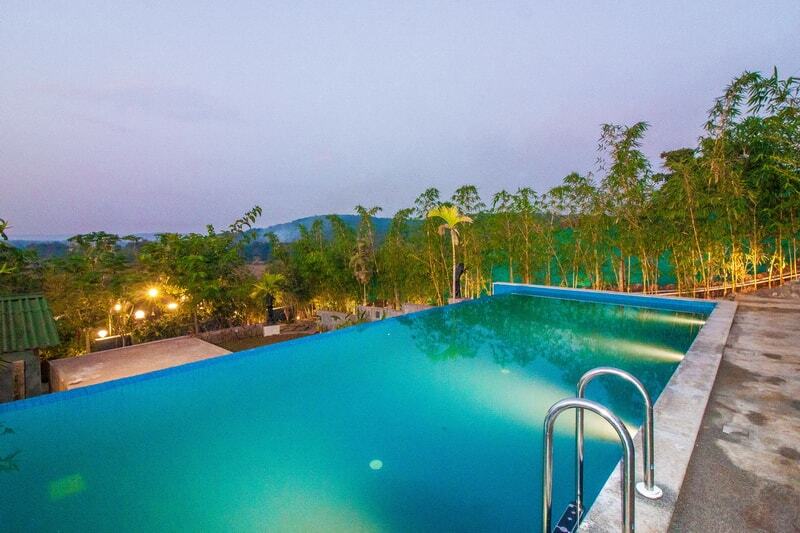 Can you expect you Holiday in Goa to be any way better?! 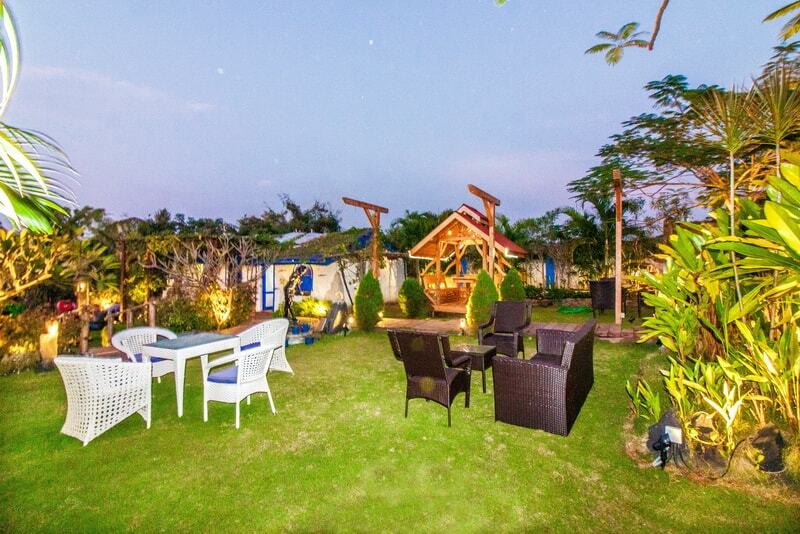 Entering the property one will find reception and kitchen area ready to serve you meals of your choice. 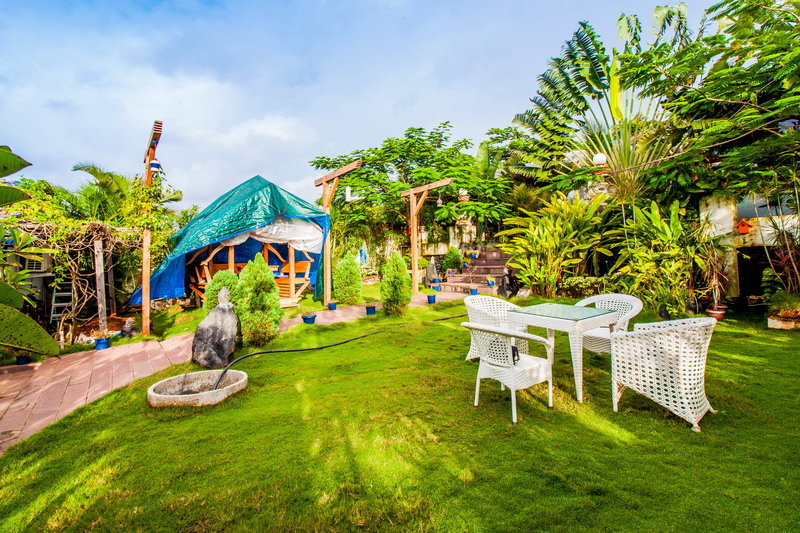 Nice lawn with sitting arrangements for dining of up to 20 guests where breakfast served every morning. 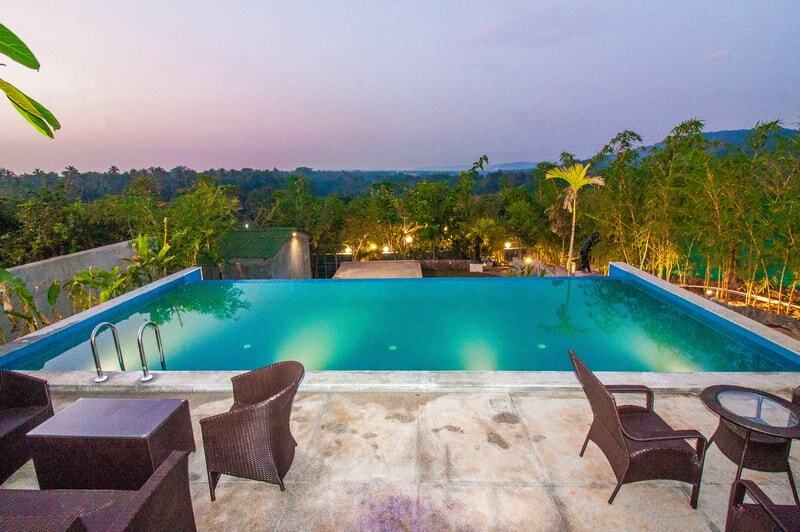 Spend time with beloved ones while having a tasty meal or swimming in an infinity pool overlooking greenery of Goa. 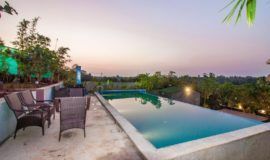 Large Infinity pool and deck with outside furniture is on the top level of the plot, offering a breathtaking view. 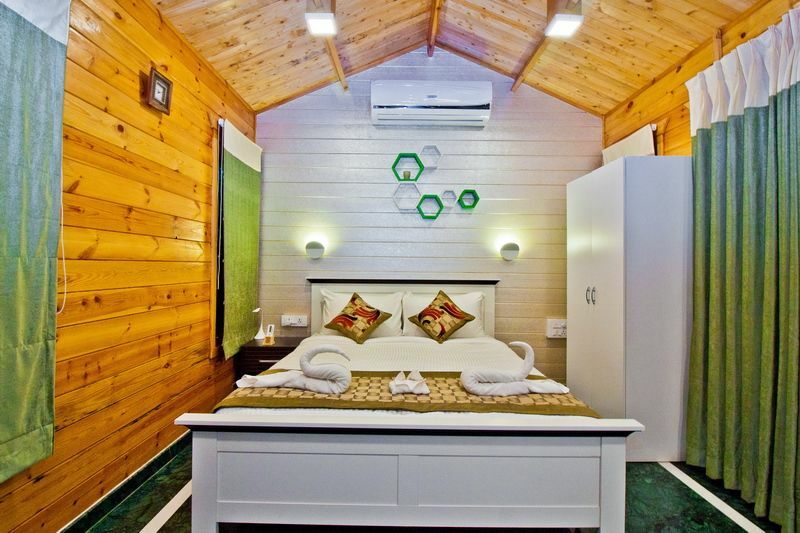 Each room features a double bed with premium linen, TV with Tata sky, fan, ac, small fridge and kettle. 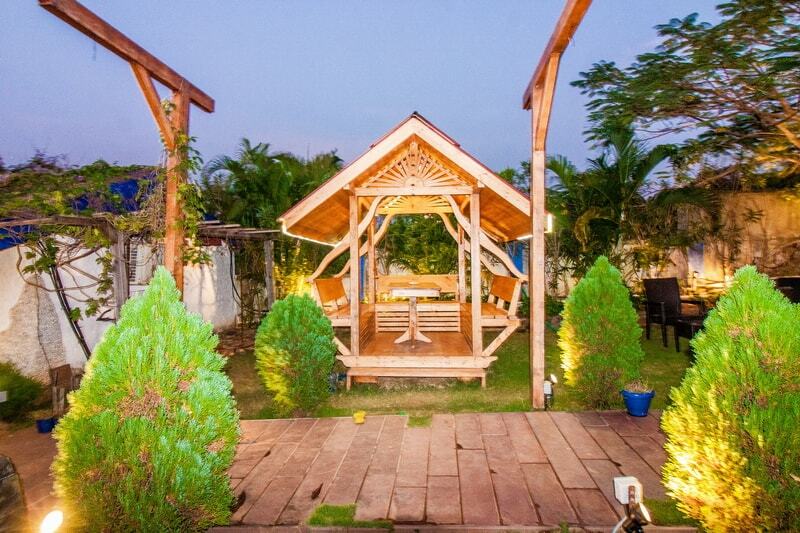 Each cottage of this villa for rent has a balcony with sit out and open-air private Jacuzzi. 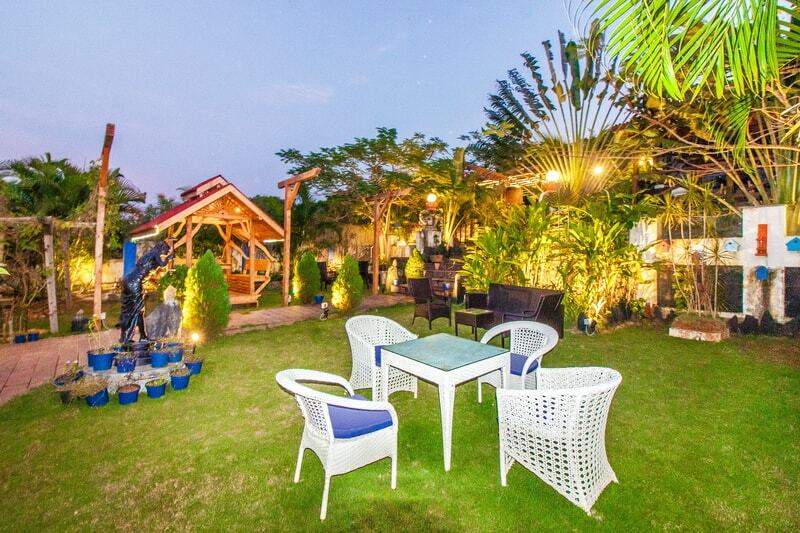 Enjoy your holiday with beloved ones!! 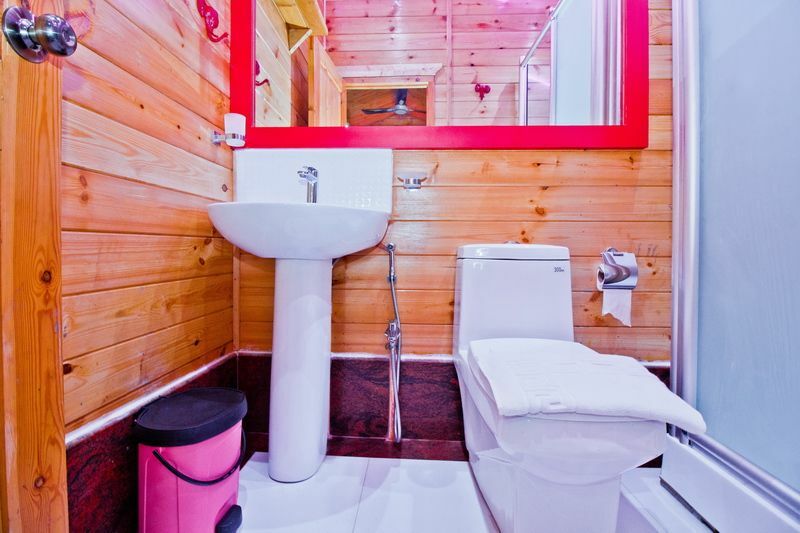 There is attached bathroom with shower and WC in each room as well. 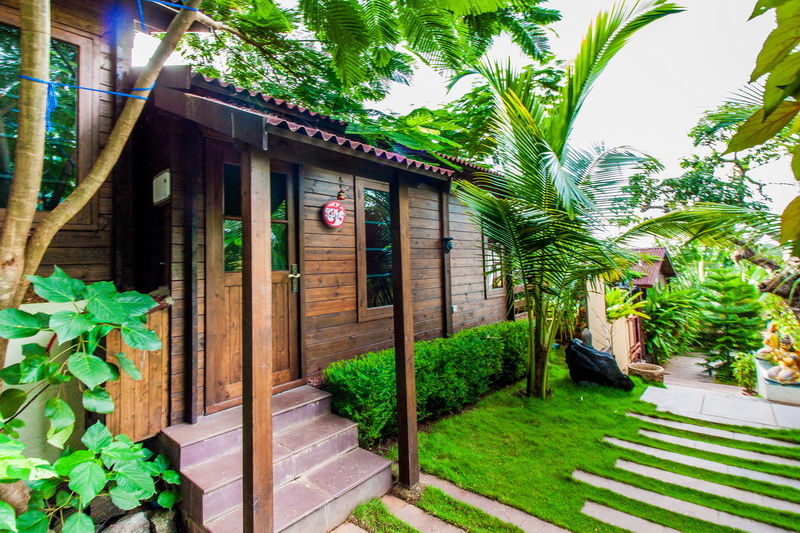 It’s a gem of Calangute rentals, so each of five cottages named after popular gemstones. 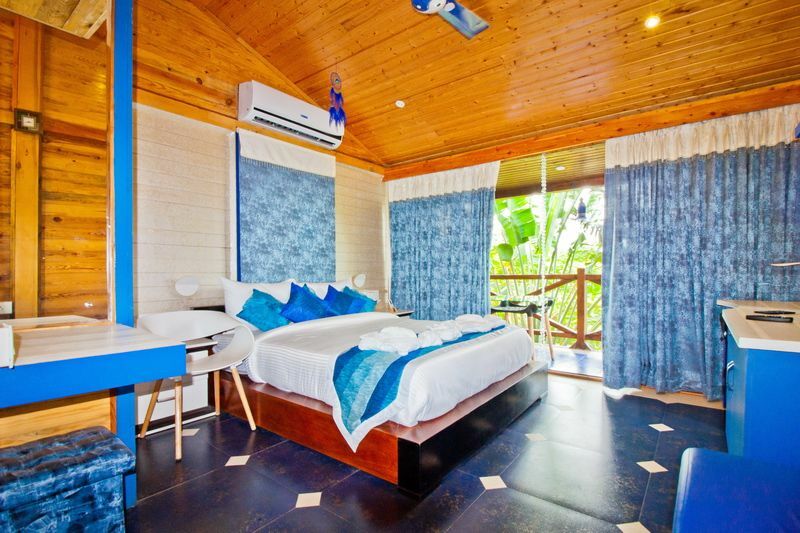 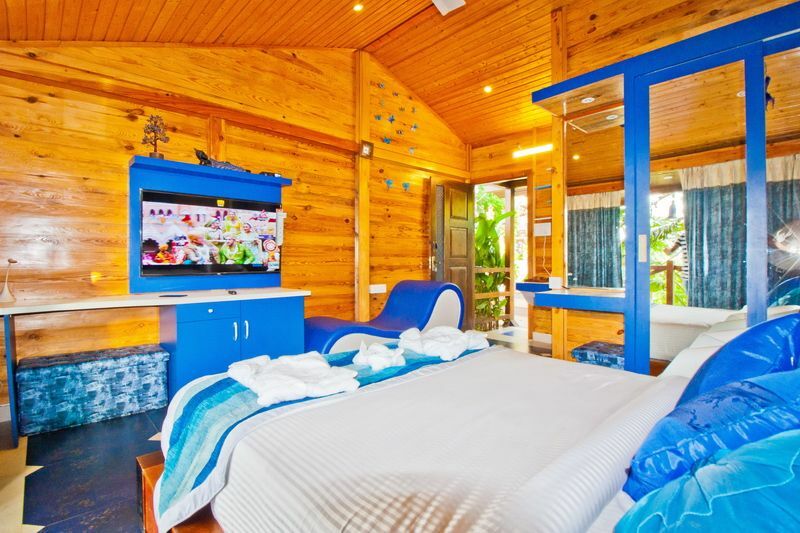 Each of five cottages of this pool villa for rent is equipped with similar facilities. 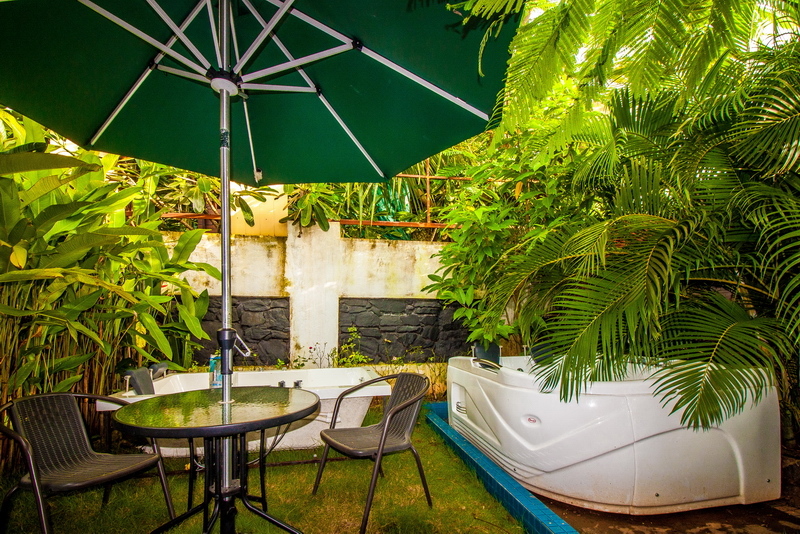 Although the model of Jacuzzi and TV might vary. 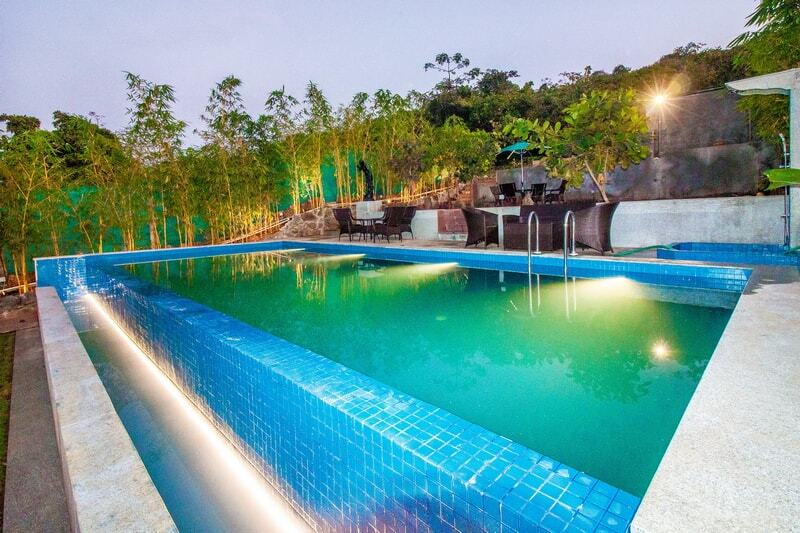 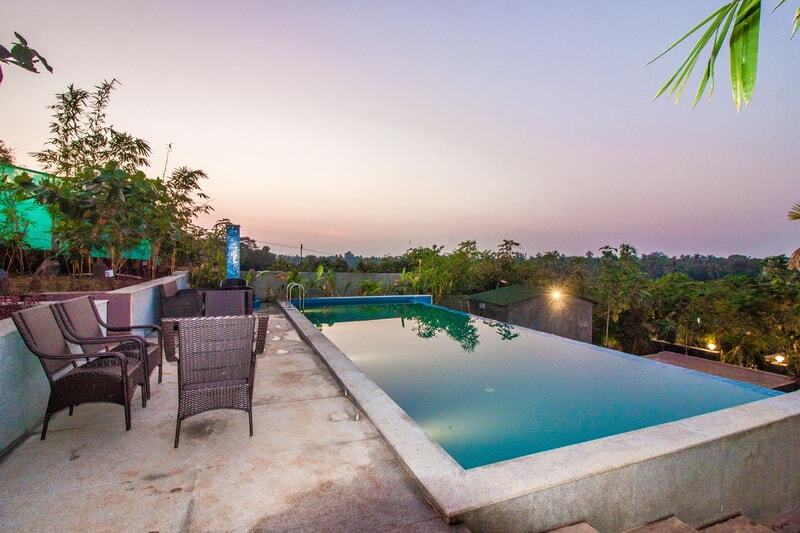 This property might not be very suitable for elderly and very small kids as one need to take stairs to reach room but youngsters and couples will definitely fall in love with the concept of private Jacuzzi, lots of greenery and amazing view. 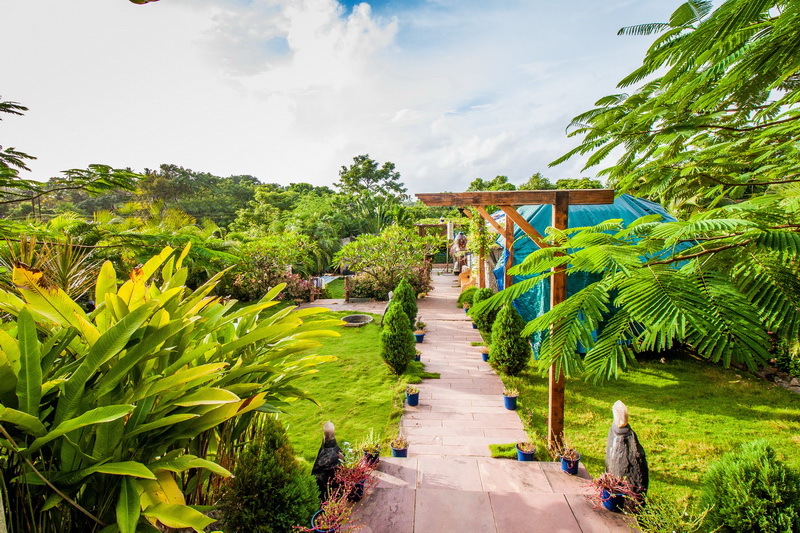 A boutique resort as we would like it call it, Rock Forest is a perfect place for youngsters and couples who would want to be away from the crowd and yet have an amazing time. 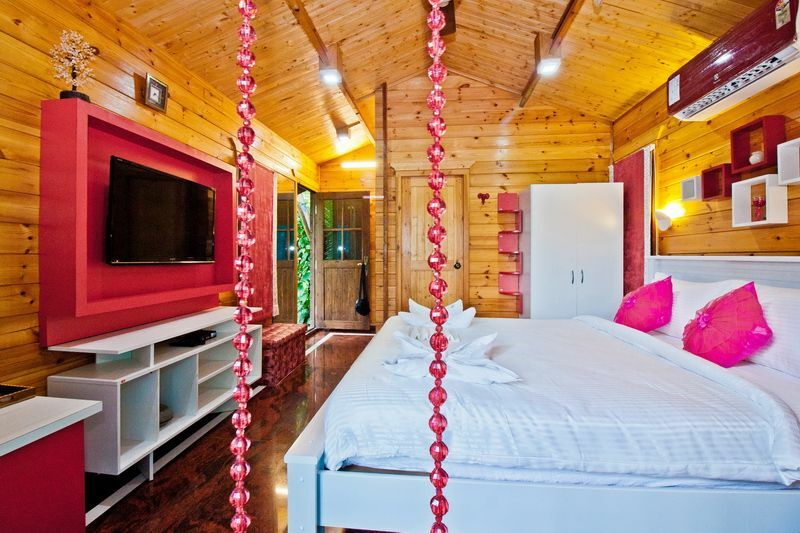 With 5 individual wooden cottages and an infinity pool overlooking the lush green forests of Goa. 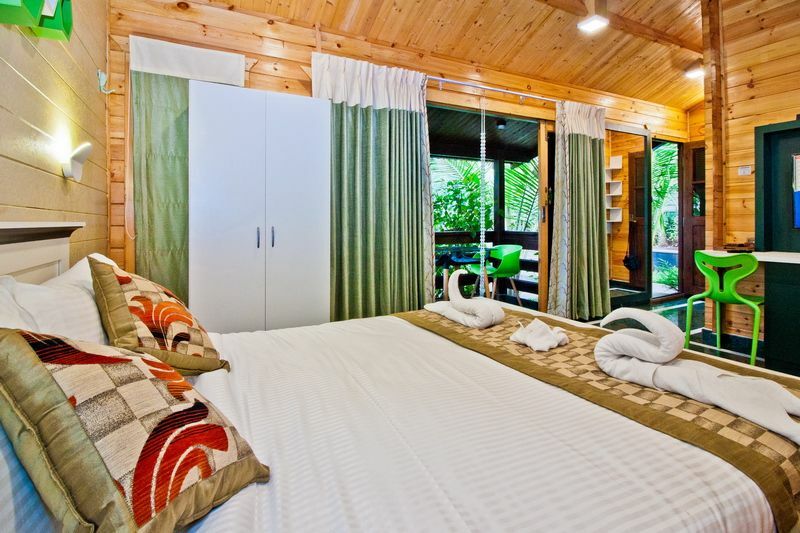 Each cottage comes with a balcony and an open air private Jacuzzi where one can unwind and enjoy. 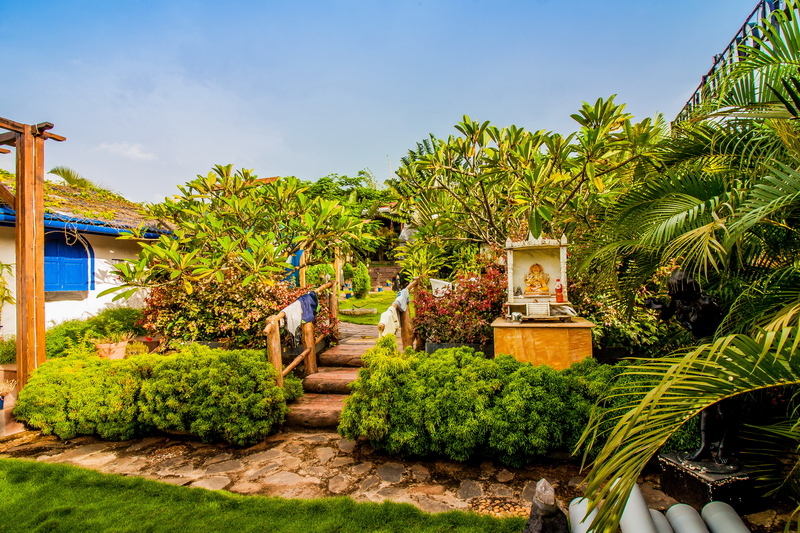 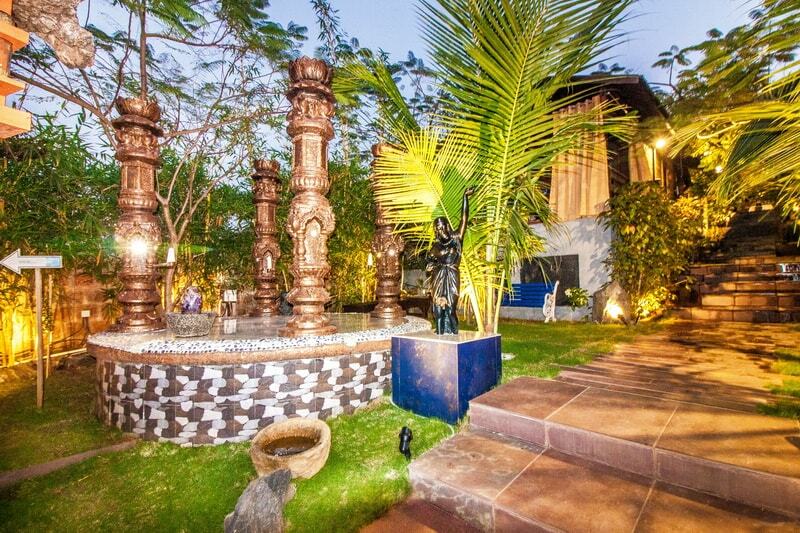 The property has a perfect blend of greenery yet close to all the happening places of Goa.